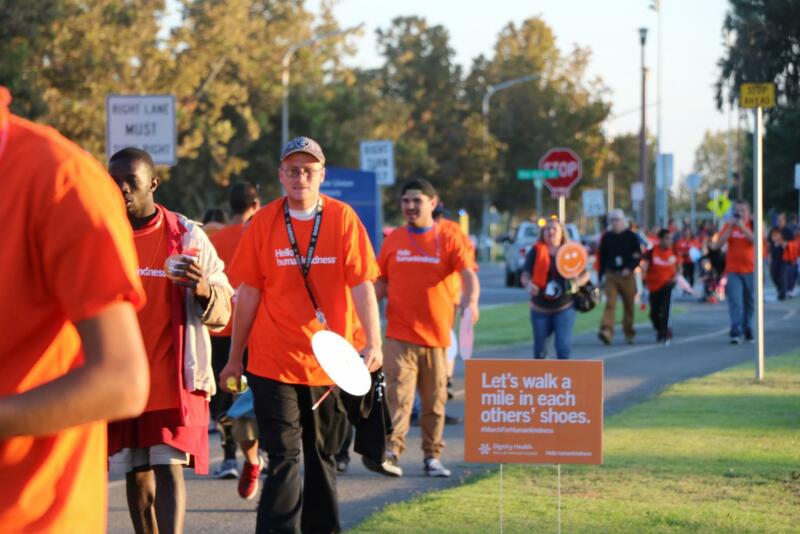 Mercy and Memorial Hospital held its first-ever March for Human Kindness at CUSB. Dignity Health Mercy and Memorial Hospitals held its first-ever Walk for Human Kindness event at Cal State Bakersfield on Oct. 18. The march aimed for a celebration of diversity and encouragement of different communities to come together and create a kinder community. 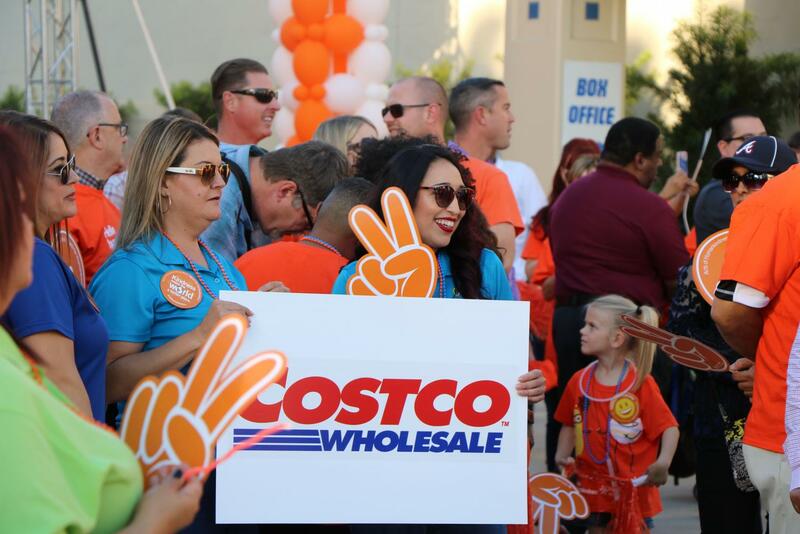 Costco sponsors at the March for Human Kindness. Singh said he learned to relieve his stress levels with kindness at the hospital. Bakersfield College Renegade softball team and head softball coach, Casey Goodman, was one of the many who came out to show support for the walk. 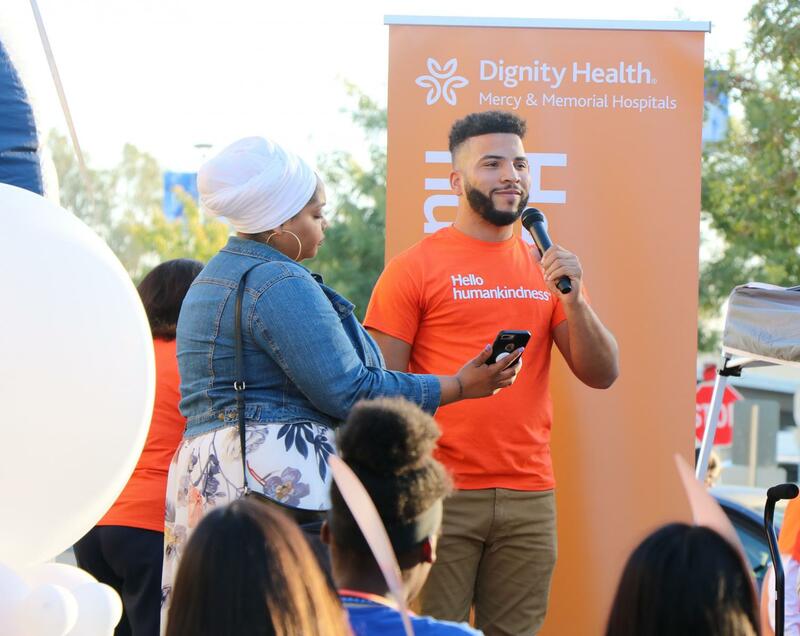 Special guest speaker Blaine Hodge came out for the March for Human Kindness to give his viewpoint of what human kindness meant to him. “Starbucks hero” Blaine Hodge shares what human kindness means to him. Hodge is known as the Starbucks hero from news outlets and the Bakersfield community. He stepped out to protect a woman who was being attacked by a man with a machete in a local Starbucks last September. Hodge was recently released from the hospital from stab wounds and just had his cast taken off the day before the march. Hodge said he is not here at the march to talk about what he went through but here to serve and help his community any way he can. Bakersfield Mayor Karen Goh speaking to 23 News on the event March for Human Kindness.